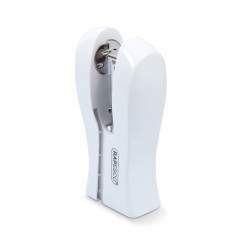 A compact, portable automatic stapler. Features a front-loading system with easy press button access. All models come with 1000pcs 26/6mm staples and a USB cable for a quick start. Staples up to 15 sheets (80 gsm) paper. Concealed stapling head and non-slip rubber base for safety. Backed by a 2-year guarantee when using Rapesco staples. 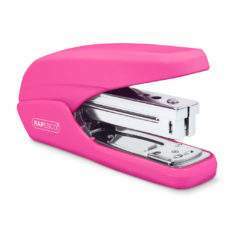 Make those everyday stapling jobs easier, with the Rapesco 626EL Automatic stapler; a portable and practical dual-powered device. With a front-loading magazine and handy mechanism that automatically staples when paper is inserted, the 626EL provides precise stapling results for light jobs of up to 15 sheets. 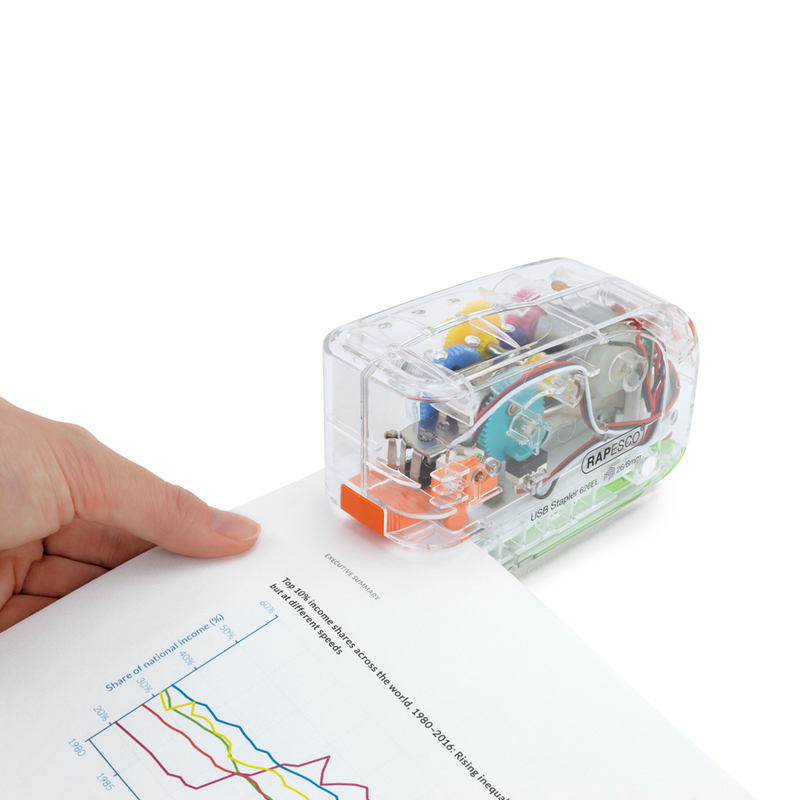 The compact design means it fits perfectly on the desk or stored away in the drawer, and with a concealed stapling head and non-slip rubber base, it’s also child-friendly. 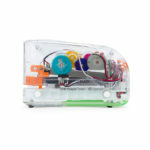 The 626EL comes in 5 colours, sure to brighten any classroom, office or home. 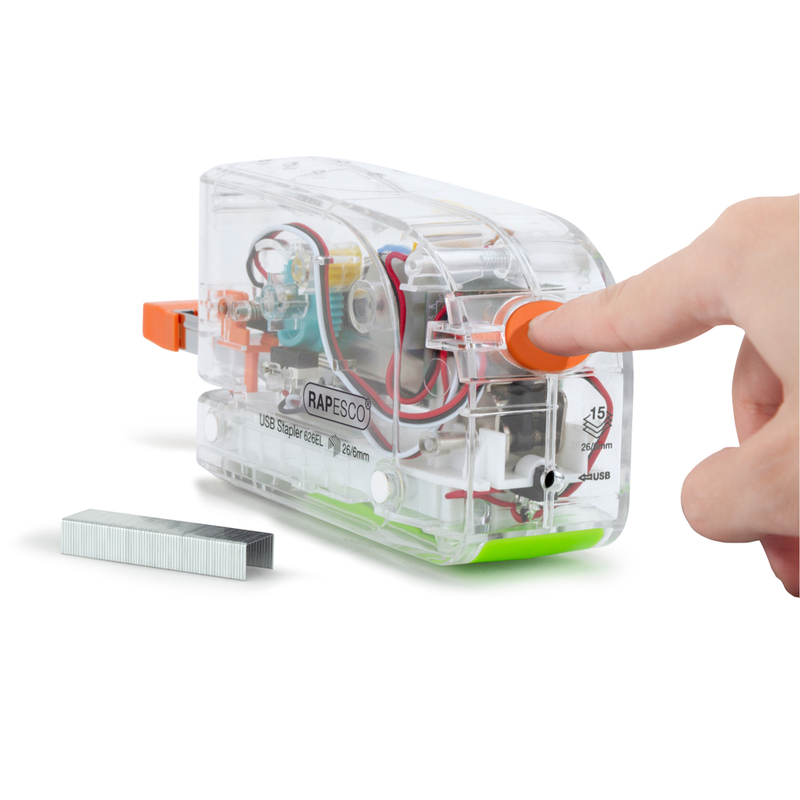 Choose from vibrant candy pink or powder blue, contemporary black or white, or a clear transparent casing with fun, brightly- coloured internal working parts. 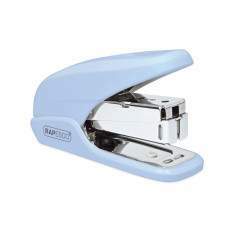 The 626EL is supplied with a USB cable as well as 1000 26/6mm Rapesco staples to help you start stapling quicker. 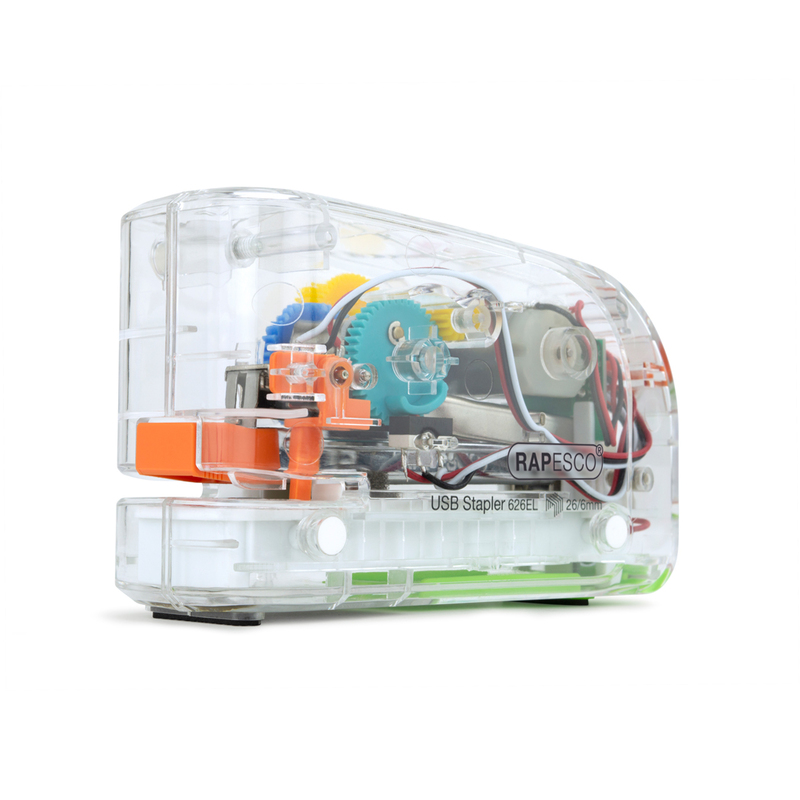 Powered by either USB cable (included) or 4 x AA batteries, but for optimum performance use Rapesco 26/6mm staples.